there are a multitude of factors that can conspire against a diligent scientist that can go wrong. much less cumbersome this looks, is to work with for the scientist and use for the athlete. to be ignored or in fact useful for athletic measurements. for the purpose of tracking athletic performance (despite the many manufacturer’s claims). Firstly let us summarise the issues and expand on this understanding later. BxB system use very noisy (real) instantaneous O2, CO2, and flow signals. 2. Time misalignment of O2, CO2 and flow signals are almost impossible to correct. 3. The instantaneous multiplication of these signals to VO2 create incredibly noisy VO2 signals. 4. Very small changes or errors in O2 results in very large changes or errors in VO2 (about 50 times). 5. Gas sampling at a point with large flow variations means flow to sensors is unstable. 6. Mouthpeice sampling means very large swings in gas concentrations from room air to sample. 7. If running, then a very noisy flow resulting from lung vibrations adds to the noise in BxB systems. This is a typical resting flow versus time graph. See below. (Hans Rudolph Pneumotach…a gold standard well above most) will have far more variations. and low at the end, with the CO2 being the opposite. 2. Time misalignment of flow, O2 and CO2. is not subject to issues of restricted flow due to sample line humidity and other issues we’ll discuss shortly). d. we must multiply the exact same sections of this breath. and CO2(0.500s to 0.505s). But in such a noisy signal how can we be sure we have aligned these at all? in VO2. (in fact about 50x the O2 error). Read on. and CO2 creates very noisy signals. much error any metabolic system has based on manufacturer’s specifications. Lets just see what happens if we insert an O2 error of about 5% relative and a Flow error of the same. all the probable causes in error already discussed (with much more to come). FiO2=21%, FeO2=17.5%, FiCO2=0.04, FeCO2=3.8, Ve=137L/min. Now lets add the 5% relative error to FeO2 and Ve only. new values and see what the new VO2 will be. test many athletes at once, this perfect drying system will certainly have its work cut out. not only is it noisy but seriously erroneous based on misaligned data. 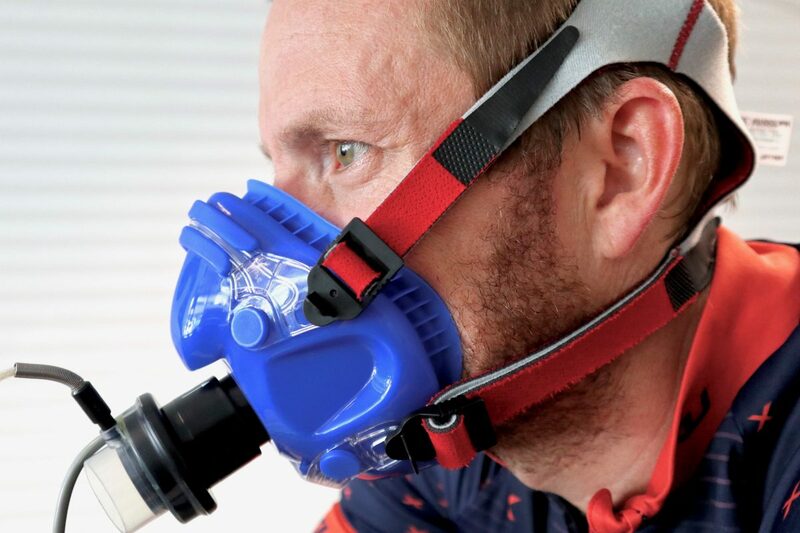 on the VO2 calculation. This holds true for mixing chamber as well as BxB systems. quite a lot of error already. So its not enough to have a mixing chamber system, you must have a very accurate O2 sensor also! Some gases supplied to many labs have certification at 5% relative (This is roughly 1% absolute). If 0.1% gives an error of about 4% VO2, how can we accept a gas with a 1.0% error (ten times worse)? 5. Flow variations cause havoc with O2 and CO2 sensors. as possible. So that the changes in O2 or CO2 can only be the result in the change in concentration. point of sampling. This means it is well-nigh impossible to maintain a constant flow into the O2 and CO2 sensors. already when we didnt assume these issues, we’re really making a bad situation very much worse. room air to sample air gas concentrations. subject to large swings in concentration, due to the pressure changes at the mouthpeice. exercise we have an extra noisy flow signal (and possibly…not yet known…O2 and CO2). See below. an exceptionally noisy and erroneous methodology compared to other methods. Daley MA, (2013) Impact Loading and Locomotor-Respiratory Coordination Significantly Influence Breathing Dynamics in Running Humans. can live with errors in the order of 15 to 30%, then you’re probably OK with BxB. for every individual, we’d be much closer to a perfect system.